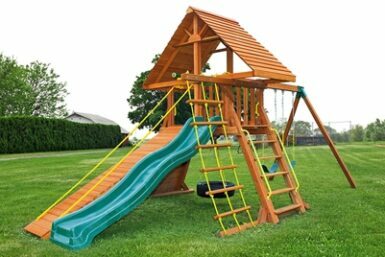 With a unique A-frame design, the angled-base series features a tire swing below the play deck. These swing sets are made for properties that are mainly level, but a slight slope will still work. Models include the Supremescape, the Supreme and the Extreme.